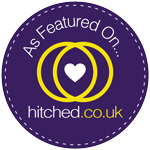 Weddings by Lisa Lee was created by Lisa Hoyte, Destination Wedding Planner based in Essex. Accredited Partner with Sandals WeddingMooons, Sandals Beach Resorts and Grand Pineapple Resorts. Lisa has Trinidadian heritage and a passion for Weddings & Events, Lisa lived in the Cayman Islands for 4 years and enjoyed the relaxed beach lifestyle along with the glitz and glamour of special events and parties. Known for loving elegant and luxurious holidays abroad and anything that sparkles she has an excellent eye for exquisite, creative designs and stunning romantic destinations. After working with Cayman's top Wedding Planner, Joanne V. Brown at Celebrations, Ltd. www.celebrationsltd.com Lisa returned to London and embarked on her passion for Wedding Planning. Lisa runs an excellent professional and personalised service, Destination Wedding Planning, Full Wedding Planning and Event Design. Brides, no need to feel overwhelmed and stressed by your preparations for the special day contact Lisa as she has an excellent network of overseas consultants, venue designers and vendors who include hair stylists, makeup artists, photographers and florists. From a Christian background Lisa will design the Ceremony around your Faith. Christian, Catholic Civil or Asian. She will inspire you with creative ideas and make your special day magical and stress free. Lisa is a certified Wedding & Event Planner qualified through The Event School, Docklands and training courses with UK Alliance of Wedding Planners www.ukawp.com. She has organised weddings in Grand Cayman, Cayman Islands, Tobago and events in the Caribbean and City of London. For inspiration, please take a look at the portfolio and read the kind words in Testimonials.